Door City originated over ten years ago as a small family-owned business based on the Sunshine Coast Est 2006, selling solid timber doors to local homeowners and builders. Since then, the business has grown to incorporate four different locations in South East Queensland – Brisbane, Sunshine Coast & the Gold Coast, and now also employees a team of 15 knowledgeable and dedicated staff who are ready to Make Buying Doors Easy. Quality products, fair prices, and great customer service are the reasons that Door City has been able to enjoy such growth – we will always do everything within our power to satisfy our customer’s needs. We also provide staining, delivery and installation services with all of our timber door products to ensure that buying a new door or replacing an old door is as simple and stress-free as possible when visiting Door City. 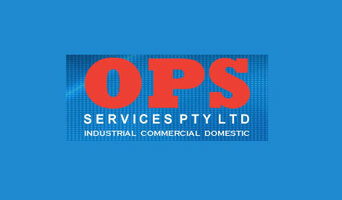 OPS Services Pty Ltd specialise in Repairs, Service, Supply and Installation of Roller Doors, Roller Shutters, Gates, Sectional Doors and Auto Doors. 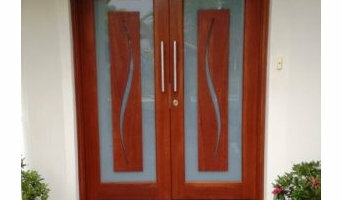 We service all makes and models, Industrial, Commercial & Domestic Doors. OPS stock a large range of remotes & receiver cards. We at Aust Cold Industries Pty Ltd provide you with a number of equipment that include PVC strip curtain, plastic doors, clear plastic sheets, freezer curtains, plastic door curtains, vinyl door strips, plastic strip curtains, plastic curtain strips, warehouse door curtains, etc. All our products are highly durable and long-lasting. Our old clients keep recommending us to their friends, family members, neighbours, colleagues, etc. Check out all our products on our website or get in touch with us over the phone for more information. 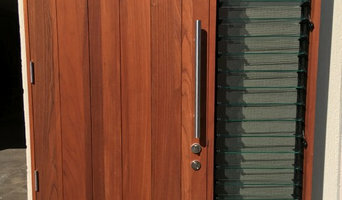 Windows & Doors company specialising in Bifold doors. Glass House Mountain Tourist Park located at Sunshine Coast, QLD is the best place to stay if you are looking for relaxing holiday. The accommodation is ideally suited for groups and families available with collection of cabin accommodation styles. Staying at Glass house Mountain Tourist Park will provide many scenic trips through the Snowy Mountains and the stunning Australian Alpine Region. Moreover we also provide facilities like house riding, bush walking, mountain trekking at affordable price. Our spacious motor homes have also a sleeping birth, sofa kitchen area, oven, and a small bathroom with a shower. For further information, please visit our website glasshousetouristpk.com.au. Find a Sunshine Coast, Queensland door professional on Houzz. Scroll through this page to find door professionals in your area. Look at project photos and read reviews to find out how homeowners rate their service, expertise and product.